This week’s Rumors & Rumblings post covered Emma White’s GC win at the North Star GP in Minnesota over the weekend. The win was White’s first career GC victory and the latest addition to her impressive list of accomplishments. Cyclocross Magazine got the opportunity to speak with White about her GC victory at North Star before she hits the road again for U.S. 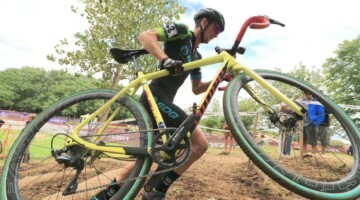 Pro Road Nationals being held in Knoxville, TN this weekend. Emma White took the yellow jersey after Wednesday’s criterium and held it for the rest of the North Star Grand Prix. 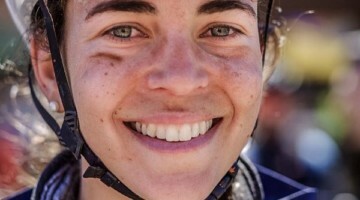 Cyclocross Magazine: What are your feeling after winning your first road GC? Emma White: The feelings are difficult to put into words after this result. I’m absolutely thrilled to have been able to wear the yellow and hold on to it. CXM: What did it take to race well all week, especially knowing other riders were gunning for the yellow jersey? EW: The gap to second place ranged between 2 and 10 seconds all week and finished at 4 seconds. So it was a tight race. My entire team turned themselves inside out not only protecting me but also controlling moves that other teams were making. It took a lot of communication and trust. CXM: What was your favorite moment or race from the week? EW: My favorite moment may have been during the stage three road race when my team was lined up in front of me in the cross winds drilling it. I’ve always been on the suffering end of cross winds, and I could hear the suffering take place behind me by other teams. I couldn’t help but smile. I was so proud of my team for taking control and giving everything they had, and it paid off. In the last stage, Ruth Winder only needed four seconds on me to win and she attacked the last lap. I couldn’t match it, but my teammate did. When she noticed I wasn’t there, she sat up and came back for me. She rode herself into the ground bringing me back and we closed Ruth’s five-second gap on the final climb. White’s victory at North Star was a team effort by her and her Rally Cycling teammates. The Women’s U.S Pro Nationals Road Race is being held on Sunday. Stay tuned to our Twitter feed (@cyclocross) for updates on the availability of a live stream for the event and check out Rumors & Rumblings next week for results. Emma White will be joined at the start line in Knoxville by Ellen Noble, Janelle Cole, Alison Tetrick, Rebecca Fahringer, and Hannah Arensman.